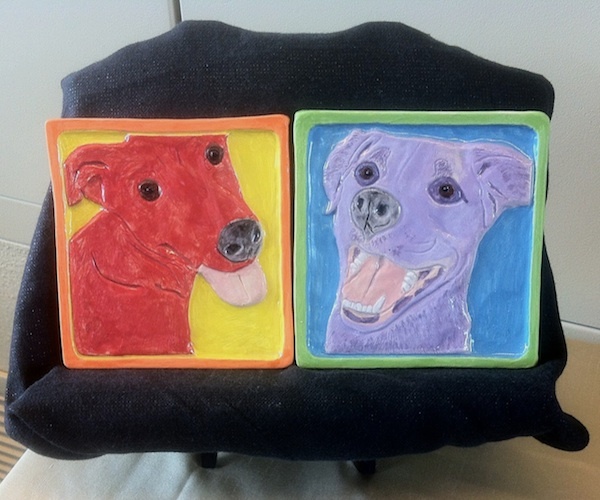 The Pups were one of just three pieces of clay art selected for the juried show. 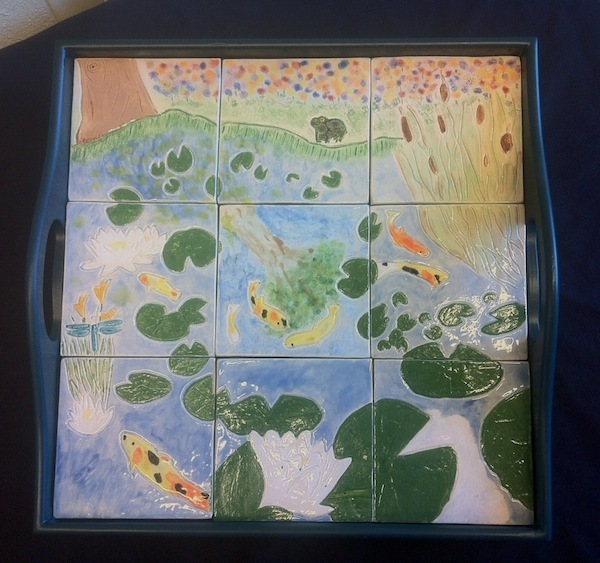 This tile mural of a lily pond is carved lightly so it remains functional as a serving tray since the surface is relatively flat. The tiles may be removed from the tray for use individually or in smaller groupings, such as for a trivet. 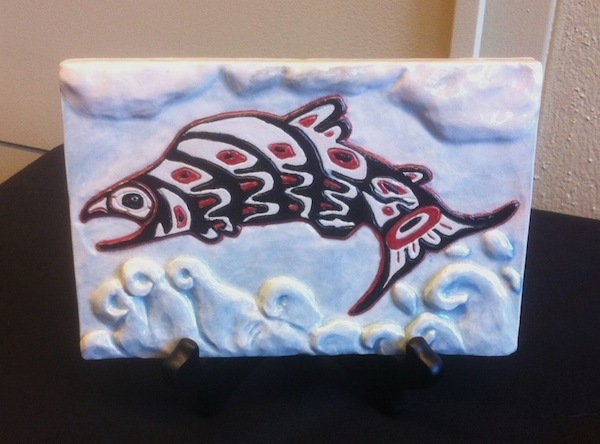 A combination of carving and bas relief style buildup, this totemic salmon is the only piece of mine that I’ve kept for myself.